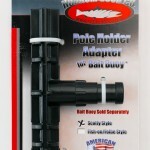 Hookum Good products can be found at sporting good retailers throughout the country. See if there is a store near you. 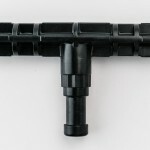 If there is not a sporting good retailer near you who carries our products, you can order right here from our website. Hookum Good Co. is committed to developing and producing innovative products for anglers all over the country. Our products are Made in the USA, right hear in Washington State. Shipping goes out within 3 business days of the order being received. Slots for pliers, scissors, etc. 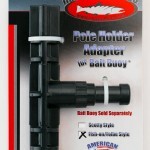 The Bait Buoy is the answer you have been looking for in regards to organization and efficiency. 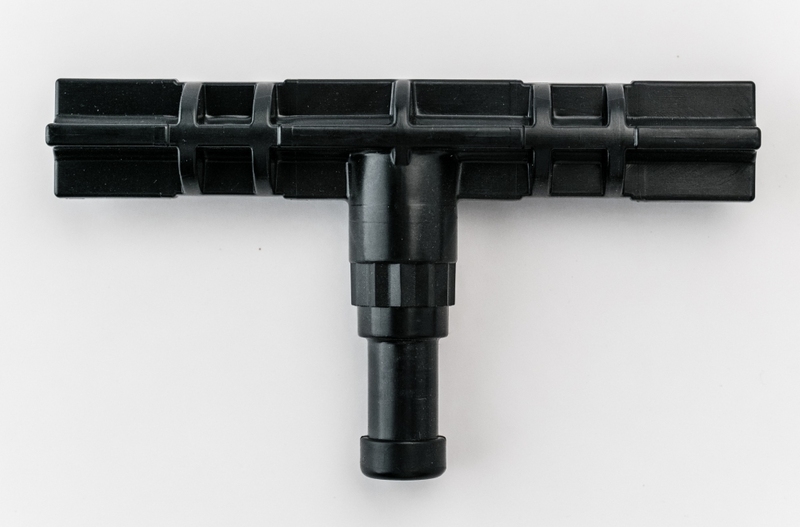 The Bait Buoy can be mounted in literally any boat. Drift boats, aluminum fishing boats, fiberglass. 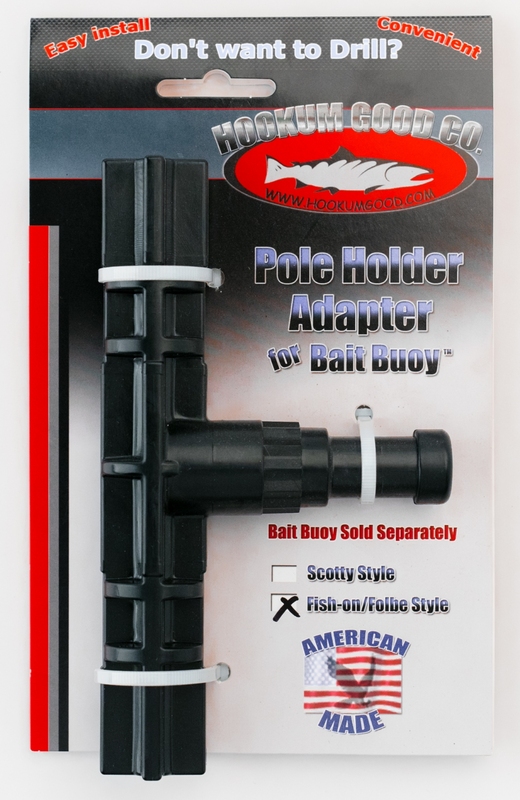 You can use rod holder adapters to mount to rod holders such as Scotty, Folbe or Fish-On. 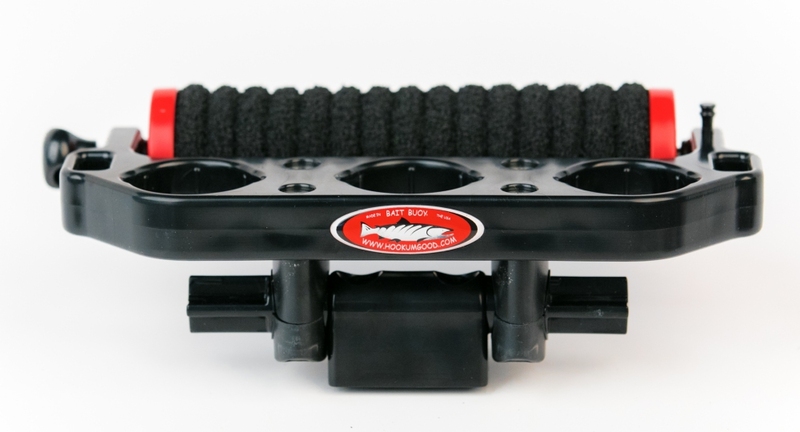 The Hookum Good Bait Buoy gives you all the important necessities at hand. Have your leader’s, scents-bait, pliers, cutters, towel and fish club close at hand. Our weather-proof construction makes this unit darn near bullet proof. 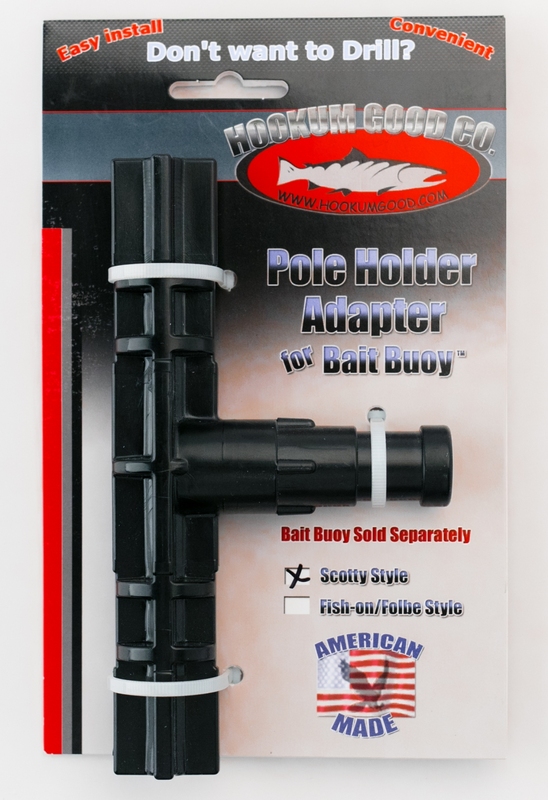 The pole holder adapter is the solution for mounting the Bait Buoy on your existing rod holder from popular manufacturers, such as Scotty, Folbe or Fish-On. 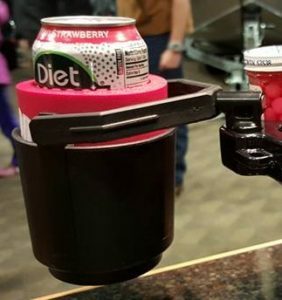 The cup holder is the perfect addition to your Bait Buoy. The Cup holder has a slot for coffee cups with a handle. It also accommodates cans and bottles! When you use the cup holder with the Bait Buoy, your drink will not spill.